Universal Robots produce a robotic arm which is characterized by being extremely flexible and easy to use in the day-to-day production. It differs from anything else in the market in the sense that it is lightweight, very easy to re-program for any non-robot expert and can be easily moved around in the production facilities. 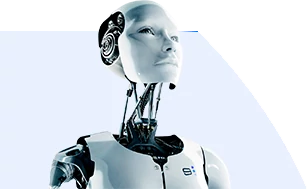 This enables the possibilities for small and medium sized companies to implement robots into the production, even though they do not posses the robot expertise inside the company. They can do everything themselves. And at low costs. UR3 robot: UR3 is a new, smaller collaborative table-top robot for light assembly tasks and automated workbench scenarios. The compact table-top robot weighs only 24.3 lbs (11 kg), but has a payload of 6.6 lbs (3 kg), 360-degree rotation on all wrist joints and infinite rotation on the end joint. These unique features make UR3 the most flexible, lightweight, collaborative table-top robot to work side-by-side with employees in the market today. It’s an ideal choice for applications that require 6-axis capabilities where size, safety and costs are critical. UR5 robot: The lightweight, flexible and collaborative industrial robot – UR5 – from Universal Robots lets you automate repetitive and dangerous tasks with payloads of up to 5 kg. The UR5 is ideal to optimize low-weight collaborative processes, such as: picking, placing and testing. The UR5 from Universal Robots is very easy to program, offers fast set up, is collaborative and safe, and like Universal Robotics’ other collaborative robots, offers one of the fastest payback times in the industry. UR10 robot: The Universal Robots UR10 is Universal Robotics’ largest industrial robot arm, designed for bigger tasks where precision and reliability are still of paramount importance. With the indstrial robot arm – UR10 – you can automate processes and tasks that weighs up to 10 kg.